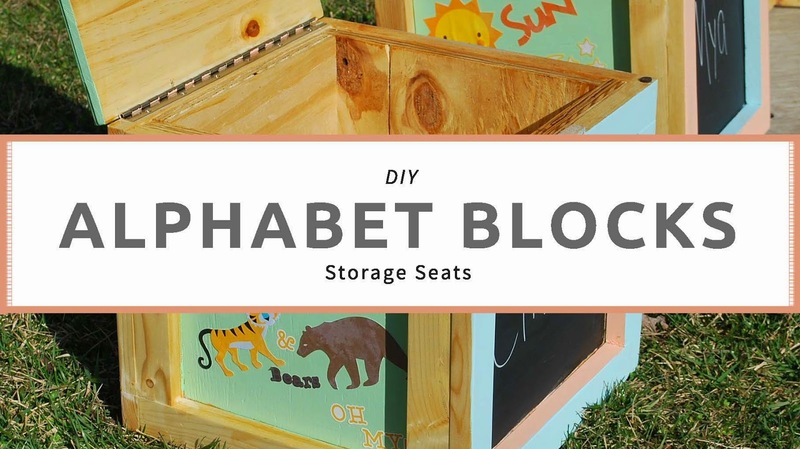 I couldn’t make an Alphabet Blocks inspired Play Table without making matching seating. I wanted the seating to do double duty. Kids come with a lot of…toys. (What did you think I was going to say?) So these seats are both ottomans and provide additional storage. 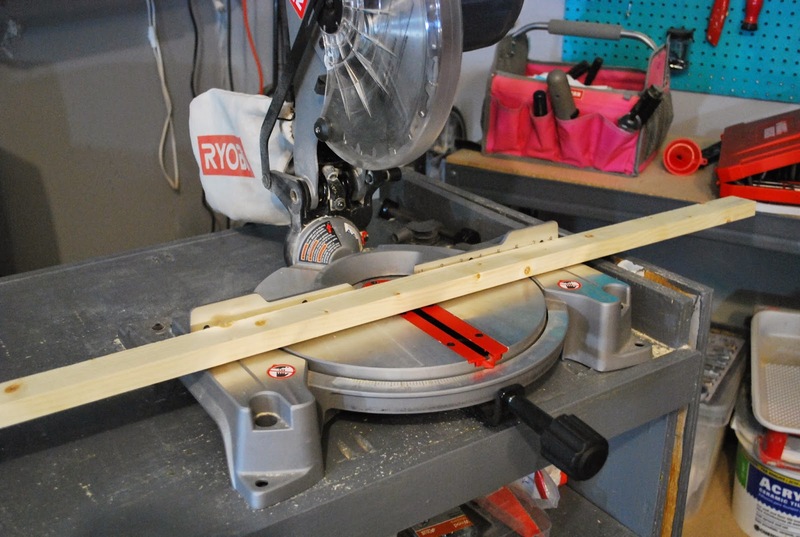 Using my Kreg Rip-Cut Jig I was able to use my Circular saw and make straight cuts on a sheet of plywood. 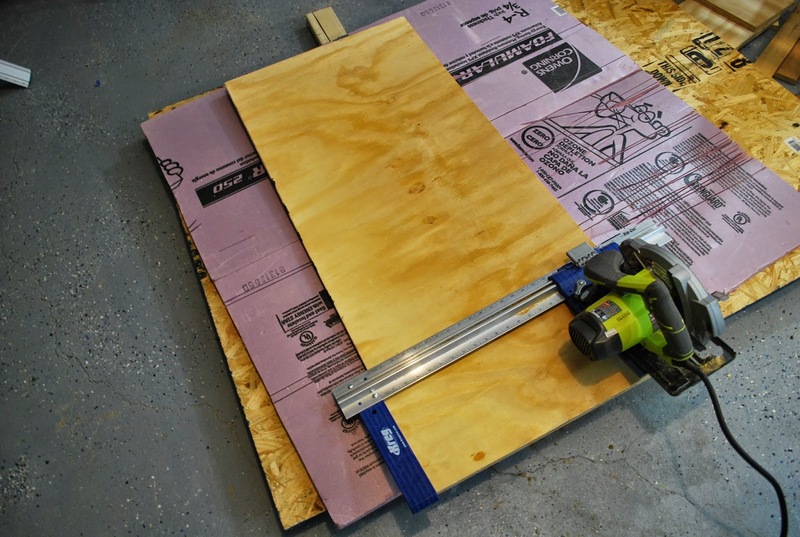 To cut the sheet of plywood on the floor I created a platform using 2x4s covered by a 1″ sheet of insulation. This lifts the plywood at a safe cutting height off the floor. At this low flat level it provides stability when cutting such a large piece of wood. 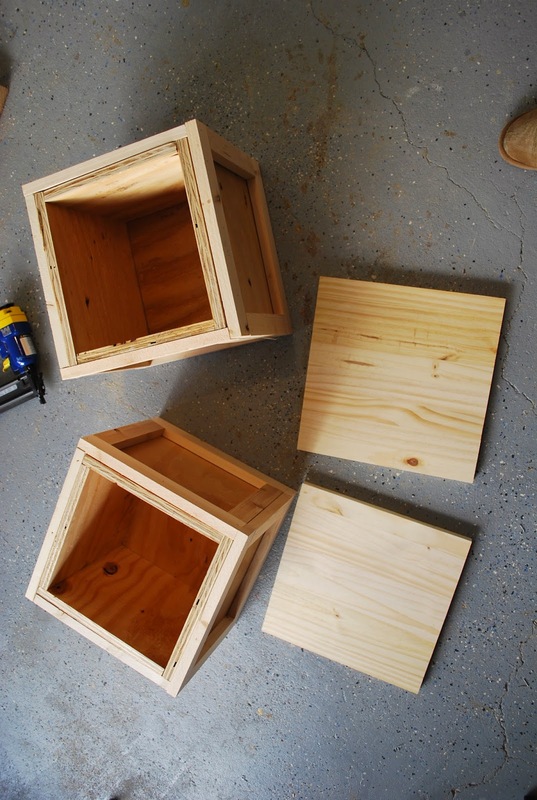 Starting with the bottom 10 1/2″ x 10 1/2″ piece start attaching the sides of the boxes in accordance to the cut diagram for the 2 ottomans. 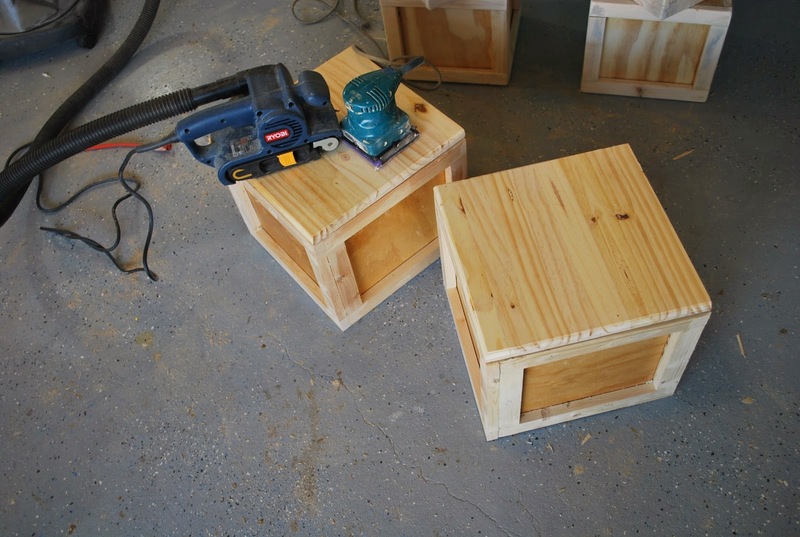 This projects moves faster with a nail gun. 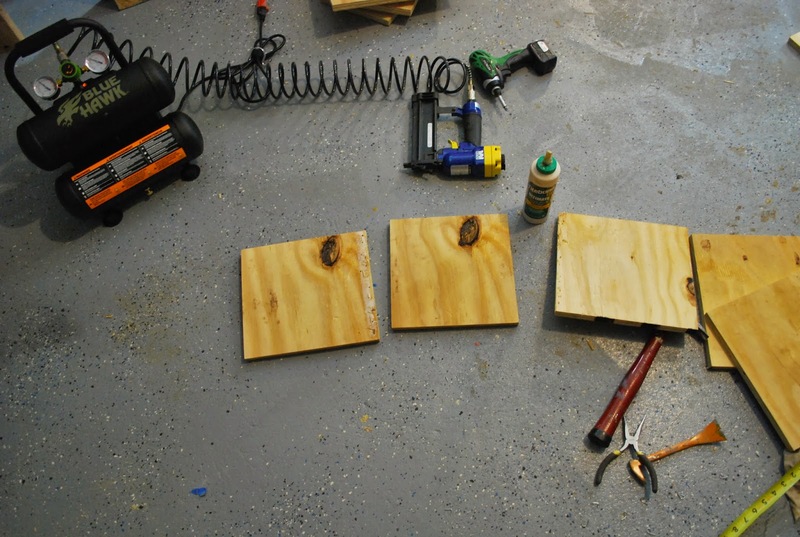 However, it can be completed with a hammer and nails and wood glue. 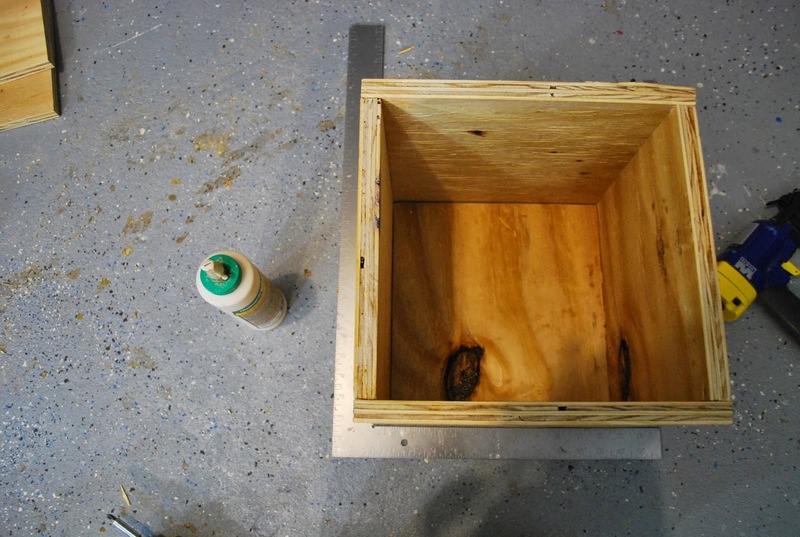 Apply wood glue to each side to add support. 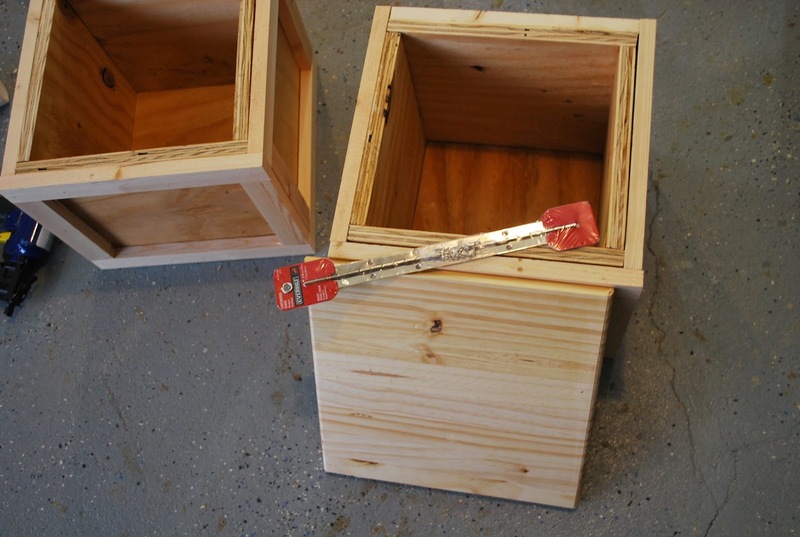 Always ensure each side is square using a Carpenter’s Square. Now cut the 1×2 to make the trim. I would normally say cut to size because I don’t like providing cut lengths for trim. 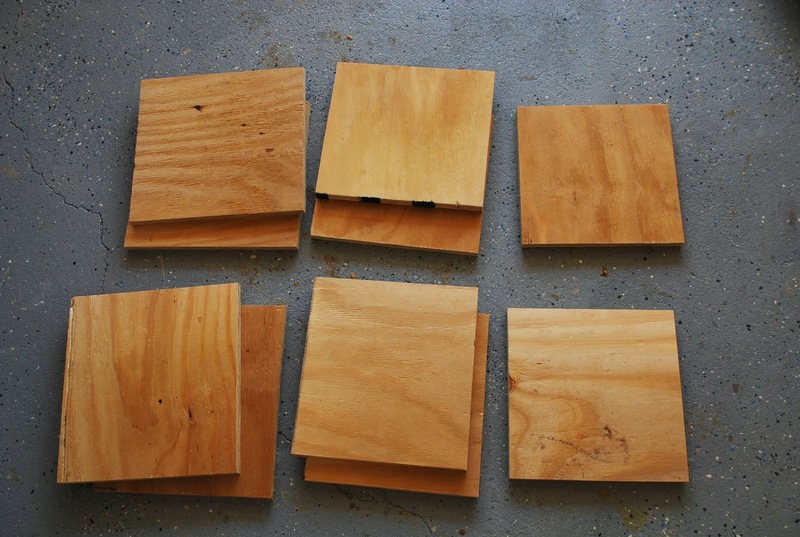 But given these are straight cuts I can tell you what my cuts were starting with the first side to the fourth side. 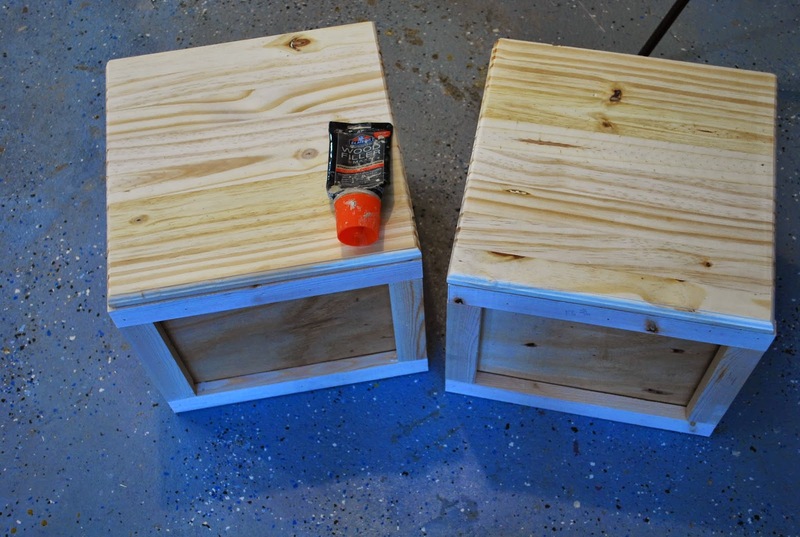 The top of the ottoman is 14″x14″. I wanted to have a more finished look on the top of the ottoman. 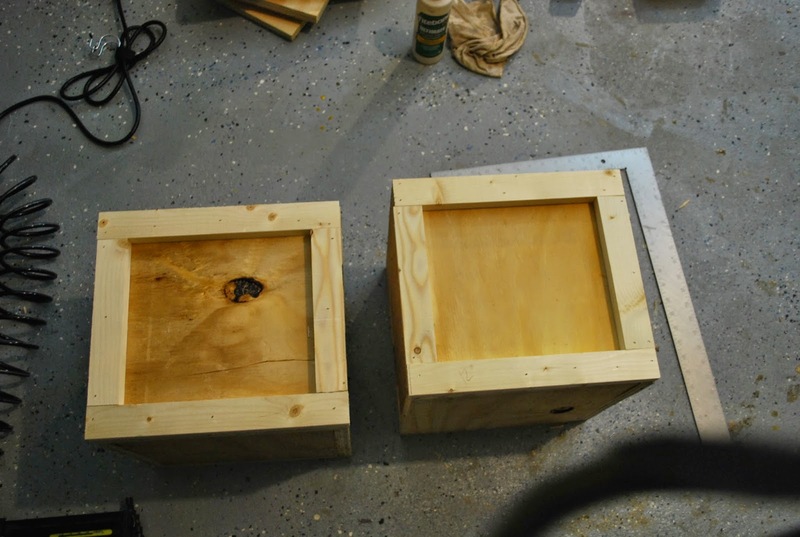 So using my Ryobi router table I routed the edges of the top pieces. Attach the piano hinges to the ottoman connecting the ottoman to the lid/top. 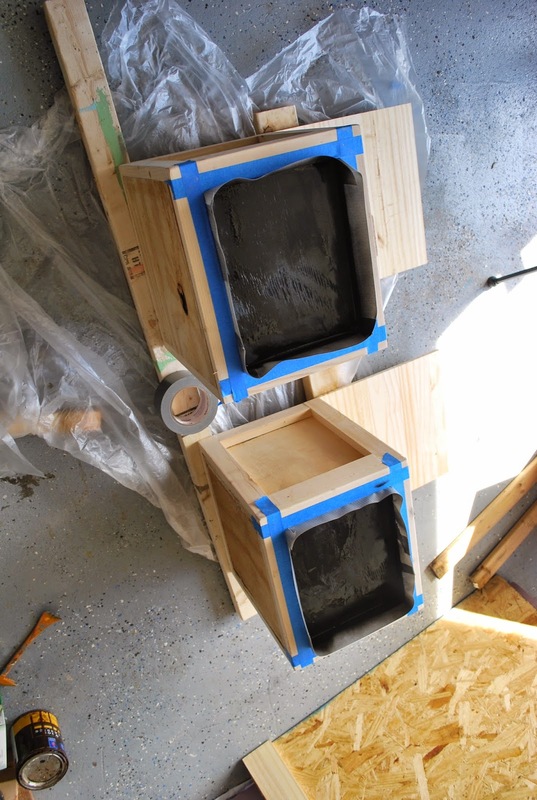 Finally apply wood filler to cover the holes created by the nail gun and allow time for it to dry before sanding. Sand using a fine grit sanding paper. 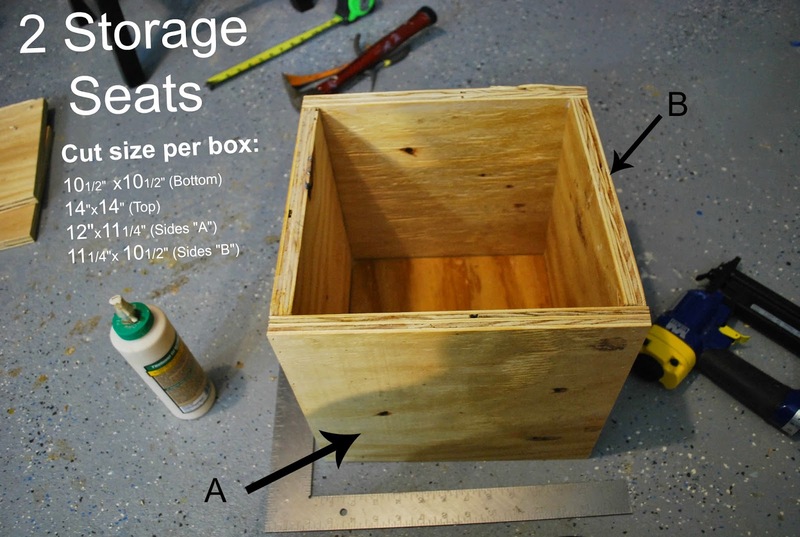 Apply felts bars on the ottoman where the lid closes. 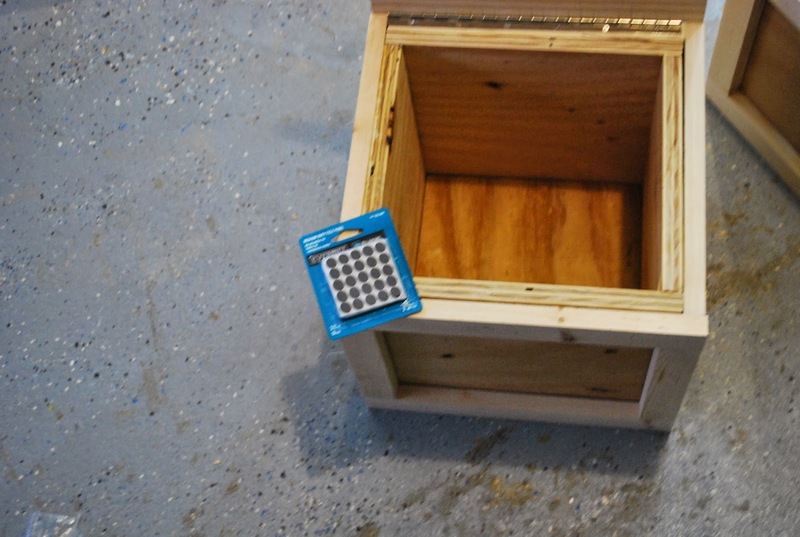 An option is to add a soft close hinge to either sides of the lid.Now your done. 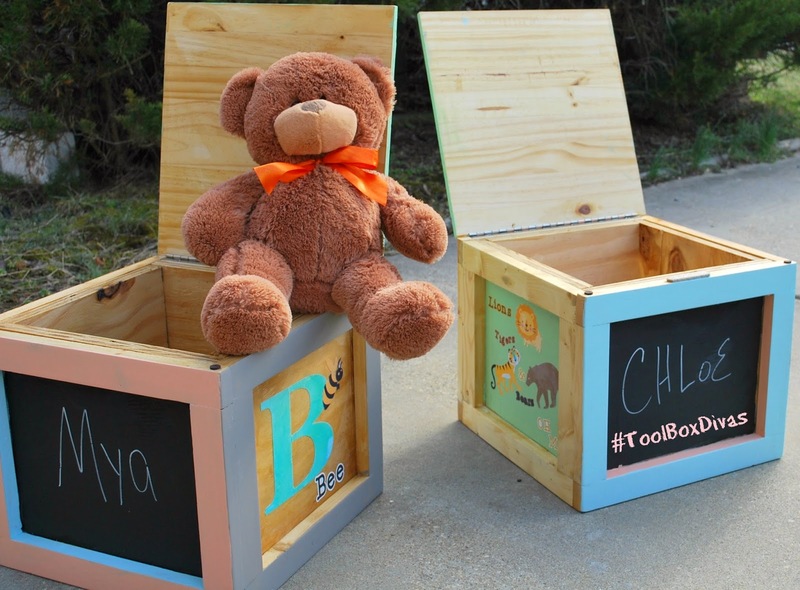 Decorate and Personalize it! 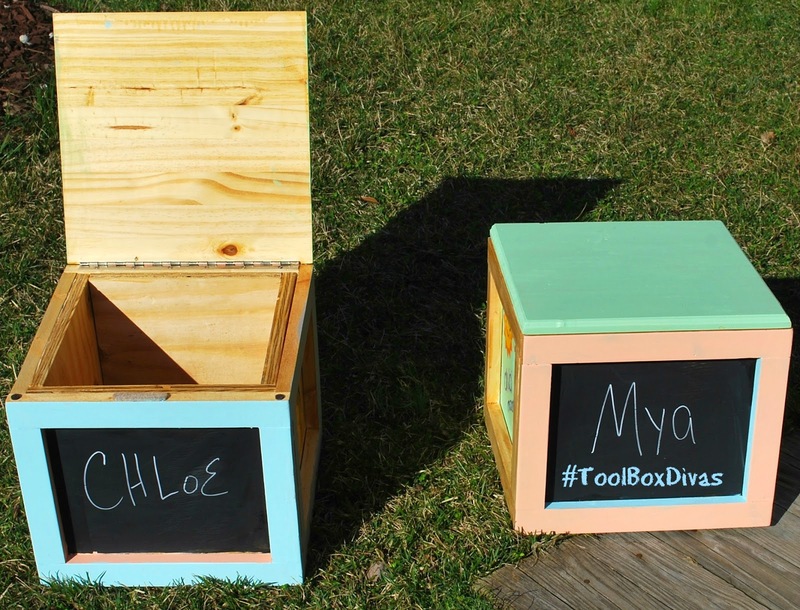 Add chalkboard paint to one side so you can add the names of your children. Or use it to identify what’s in the box. 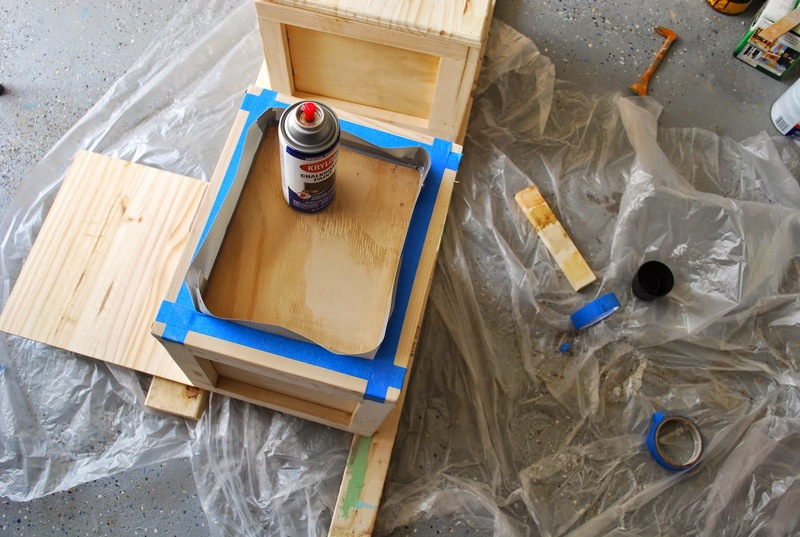 Click Here for information on the tutorial of the play table.